Preserve a special game ball with our Acrylic Softball Cube Display Case. 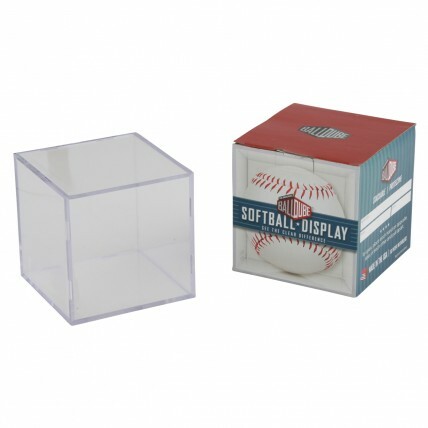 Made of acrylic, this clear case measures 4.125 inches square. Price only includes the case; engraving is not included in this product.